How to reset D-Link Omna 180 Cam HD DSH-C310 camera back to the factory default settings? Note: All settings will be deleted including association with the Omna and HomeKit apps. You will need to reconfigure the camera. If you forgot your password or need to reinstall your camera, you can reset it back to the factory default settings. To reset the D-Link Omna 180 Cam HD DSH-C310 camera, press and hold the reset button on the bottom of the camera with a paper clip for 10 seconds and then release. Allow 1 minute to reboot. Once the camera has rebooted, follow the Quick Start Guide to reconfigure your camera. How do I reset or restore my D-Link DCS-6111 to the factory default settings? How do I reset my D-Link print server to factory defaults? What is the Default password to D-Link DPR-1260 print server and How to reset it? Does the D-Link Omna 180 Cam HD DSH-C310 support cloud-based recordings? How do I reset the D-Link DES-3226L Switch rev_B to factory defaults? 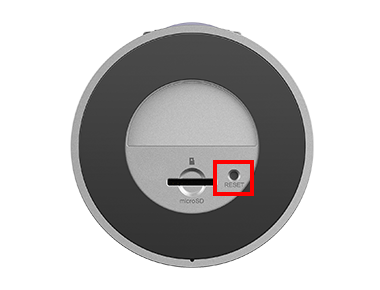 How do I remove my D-Link camera from my mydlink account? What if I forgot D-Link DAP-1520 password? Info: The camera did funktion first. than there came a message that the software was to be updated. after that update the camera is disconnected and I upon this can’t reset the camera. i have the same prob in the update prosess i have power fail and after that it wont bee reset anymore what we should do !!?? I have the same problem after doing the firmware update. Red light just stays on. Won’t reset or connect to anything. I got some Problem after I Update 1.03 Firmware version…. Please any suggestion? I can’t use D-Link omna anymore…. a message that the software was to be updated. after that update the camera is disconnected and I upon this can’t reset the camera. I also have that problem!! Help please!!! My camera worked well but after upgrading the software, it didn’t work? What shall we do? I bought the camera, it worked for 24 hours and after that nothing. I reset it, the LED stays red and nothing happens. Please assist and instruct for further actions. I am having the same trouble with multiple cameras — they worked fine out of the box, but then lost their connection and won’t reconnect. I have done multiple factory resets on each of them, and tried repeatedly to re-install them. But I am constantly met with the “can’t connect” message. I currently have two cameras that work, and three that won’t connect. I am very disappointed with this product and D-LInk in general at this point. Wouldn’t it figure! the very first one I try attaches great, looked good, worked very well and I was generally pleased. With that being said, the first update rendered the camera more useless than that of a paperweight. I really like the cam, but am disappointed as to the support it has received. Has anyone found a resolution to this issue? what’s the port used for the DSH-C310 camera? Searched the support site and found no answers. Can anyone help? I have 2 camera’s that have the same problem, they have worked for 10 minutes and after the update of the software was installed, they both did’n worked langer and i have constantly a red light and rebooting doesn’t Work neither!! Wat do i have to do??? Same problem here. After a firmware updated (1.3 to 1.4) the camera is useless. Red led light is always on. No chance to reset. Completely dead. Waste of money and time. Is D-Link going to do something or just keep ignoring? Must stop buying crap, I guess. La luce a led rossa è sempre accesa. Has anyone had any luck in resetting their camera as of yet? I’m stuck with the same issue – no way to reset and red light constantly on. Very frustrating!